"China will continue to be a savings surplus country for some time, though the saving is declining. We have to invest abroad, and the US government bond market turns out to be a good place to invest", Fang Xinghai, vice chairman of the China Securities Regulatory Commission, remarked while speaking at the World Economic Forum in Davos on 22 January. Sputnik reached out to Tom McGregor, a Beijing-based political analyst, senior editor and commentator for China's national broadcaster CCTV, and Charles Ortel, Wall Street journalist, investor and investigative journalist, asking them to share their views on Fang's "message" that came amid trade tensions between Washington and Beijing. "US President Donald J. Trump and Chinese President Xi Jinping are still in the middle of a 90-day trade truce", McGregor pointed out while commenting on the issue. "Beijing does not wish to see a return of Trump as 'Tariff Man', so of course, they would announce at the 2019 World Economic Forum in Davos, Switzerland, that Beijing would not intentionally sabotage US financial markets by slashing its US bond holdings". According to the Beijing-based commentator, "China believes they can score a win-win trade deal with President Trump". And they are making much progress, McGregor highlighted. In a July 2018 interview with Sputnik, the commentator strongly rejected speculations that Beijing may dump US government bonds in response to Trump's tough tariff measures that the US kicked off in March 2018. For his part, Ortel noted that Beijing is motivated by nothing less than "brutal reality". "There is only one debt market deep enough to absorb the massive sums that China already has, and may have, which it allocates towards 'capital preservation' as opposed to 'equity speculation' and that is the market for US government debt instruments", the Wall Street analyst underscored. He noted that Beijing's choice is obvious given the fact that the US dollar "remains strong and could even appreciate against others in which liquid debt instruments are denominated". "In addition, an actual move by China away from US Treasury instruments would quickly be discerned and might add to building pressures towards a global markets panic", he presumed. According to Ortel, the People's Republic also faces mounting internal pressures "because they have inflated a massive investment bubble in projects that likely are loss-making using strict accounting". "Considering the above, I imagine that China will retain massive holdings of US government debt even, and perhaps especially in a full-scale trade war, should one materialize", the Wall Street analyst predicted. However, at the same time, China has clearly demonstrated its intent to move away from the greenback step by step. The People's Republic is boosting its gold reserves and switching to national currencies in bilateral trade with Russia, Iran, Pakistan. It also signalled support for Turkey's plan to ditch the dollar. "The US dollar, the euro and Japanese yen are considered safe haven investments and will continue to be so", he said. "China is forbidden to use the US dollar when conducting trade deals with North Korea and Iran due to economic trade sanctions. If the Chinese use US dollars on such occasions they stand the risk of getting arrested just like Meng Wanzhou if they make an appearance in Canada". He admitted that "in regards to Russia, Chinese law has encouraged Chinese companies to use the Russian rouble on financial transactions, but not sure if it's on account of Washington-led economic sanctions imposed on Moscow". 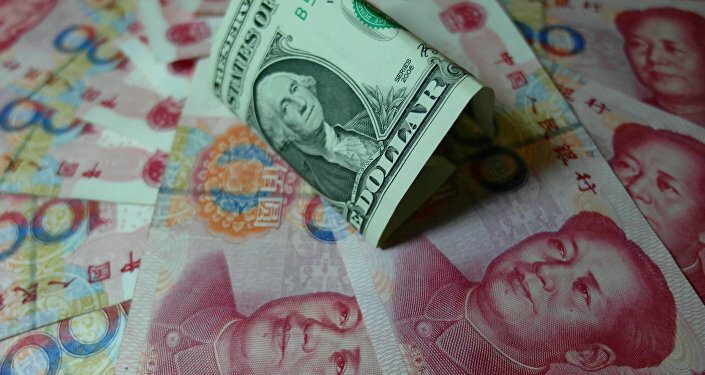 Commenting on the role of US Treasuries in China's financial strategy, Ortel noted that "'modern' economists do not think clearly enough about the natural balances that emerge as nations develop their economies under a competitive global system". "In the early period, before citizens and nations build up substantial net worth, policies that accept devaluation arguably serve export-driven strategies", the Wall Street analyst said. "However, nations such as China eventually become more concerned about where to invest their combined net worth for the longer term — and this is why US dollar sovereign debt becomes an attractive proposition". The investor elaborated that "if you are asked to develop a strategy for protecting the value of a 'mere' billion US dollars, you might flirt with betting against the US dollar with a portion of your holdings". He continued that "if you, instead, are asked to protect one or more trillion dollars today and for the future, you will conclude that a substantial allocation to US Treasuries makes sense". 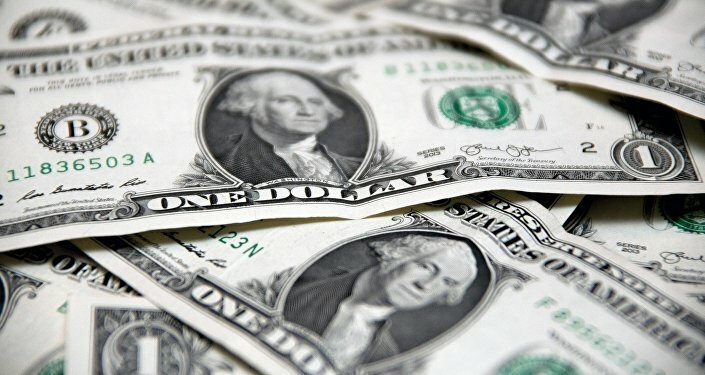 "Until China proves that foreign investors are welcome inside their borders (coming and going) and reaches a trade and operating deal with the United States, our nations will be joined at the hip in the US government debt market", Ortel emphasised, reiterating that "a rush out of US Treasury Debt by China is a low probability scenario". Sharing his prognosis for China's economic growth in 2019-2020, McGregor suggested that it will continue to slowdown. "If I had to pick a number for this year, I think 6.4 percent is a safe bet, but willing to go down to 6.2 percent", the Beijing-based commentator predicted. "That's pretty good, considering that China has enjoyed strong economic growth for so many years, successively". He pointed out, however, that "the Chinese are not panicking right now". "Right now, China has introduced big-time tax cuts and that has already boosted Chinese consumption. I anticipate the tax cuts will really help Chinese households this year", McGregor opined. The journalist underscored that the expected trade deal between Washington and Beijing remain the focus of the Chinese' attention. "In order for Beijing to reach a trade agreement with Washington, China will be required to open up its financial markets to US banks and promote the renminbi internationalization", McGregor explained. "Therefore, the People's Bank of China must stop its strict restrictions on Chinese money flooding into overseas capital accounts". As a result, initially, the Chinese yuan may "drop in value as companies pour Chinese cash holdings out of the country and into overseas bank accounts", he foresees. According to him, "this trend will be ongoing for 1-2 years before it settles down and some of that cash flows back into the China market".